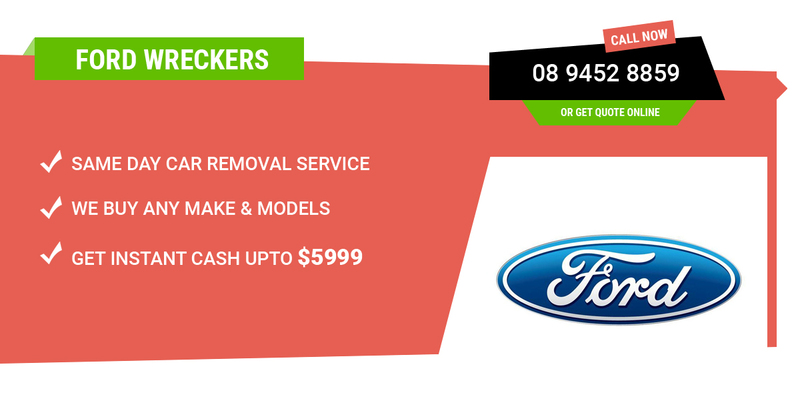 If you are looking for the number one Ford Wreckers Perth, look no further, as you have found them. We are Perth Auto Wreckers and we wreck Fords for a living. We are the best at it, but first we have to buy them. That is where you, the owner of the broken down Ford that is too expensive to fix, comes in. Perhaps you thought that you wouldn’t be able to sell the Ford in question. But it turns out that no matter what condition a vehicle is in, it will be worth money. Furthermore, we are stacking the huge Ford spare parts inventory and selling that on affordable prices. We can deliver the parts anywhere in Western Australia, freight charges can apply. All you need to let us know the Ford Vehicle’s model and part name. Alternately, if you can let us know the vehicle identification numbers then we can find the part number ourselves. Just like everyone else, when you sell something, you are going to want the best money for it. This is possibly why we are the best in town. We offer the most cash for old Fords, and can pay up to $14’999 for Fords (Trucks, Utes & SUV’s) that are in good condition. This is great for anyone selling a Ford that runs just fine because they need some fast money. We recycle cars using the most eco-friendly methods. Our Ford Removal experts are professionals when it comes to the proper dismantling of cars. Any car that needs special removal will get just that, and free of charge too. Instant cash quotes on demand. Fast and instant cash payment on the spot, no waiting for days or weeks. The cheapest high quality used Ford car parts for sale. Once your Ford gets to our salvaging facilities, it goes on an adventure that includes being dismantled and recycled for all the parts and components it has. The parts are added to our ever growing inventory. The rest is sold as scrap. Furthermore, everyone in Perth who owns an old Ford that needs selling deserves to be able to use our superior services. It is only right and fair that you can sell your Ford to us with zero fuss. Finally, you don’t have to worry about the continued environmental impact your Ford will have. We can take care [Draining, Disposing, Recycling] of all the toxic materials that are in the car. We have been recycling vehicles for more than 25 years now and following junk vehicle disposal program run by Government of Western Australia.